It’s interesting to note that the word ‘knit’ can be defined as joining together or uniting. As I look at all the people who are so generously knitting or crocheting winter hats for kids at risk I realize that working together on this project unites a disparate group of people: an orchestra leader, bankers, teachers, administrators, community volunteers, mothers, aunts, grandmothers, retirees – all coming together to knit for a purpose. Recently a friend of mine observed that focusing more on the little things in life, giving just a little of ourselves to help another can make a real difference in the world, one we may not ever realize. I think this project is one of the little things that makes a big impact. 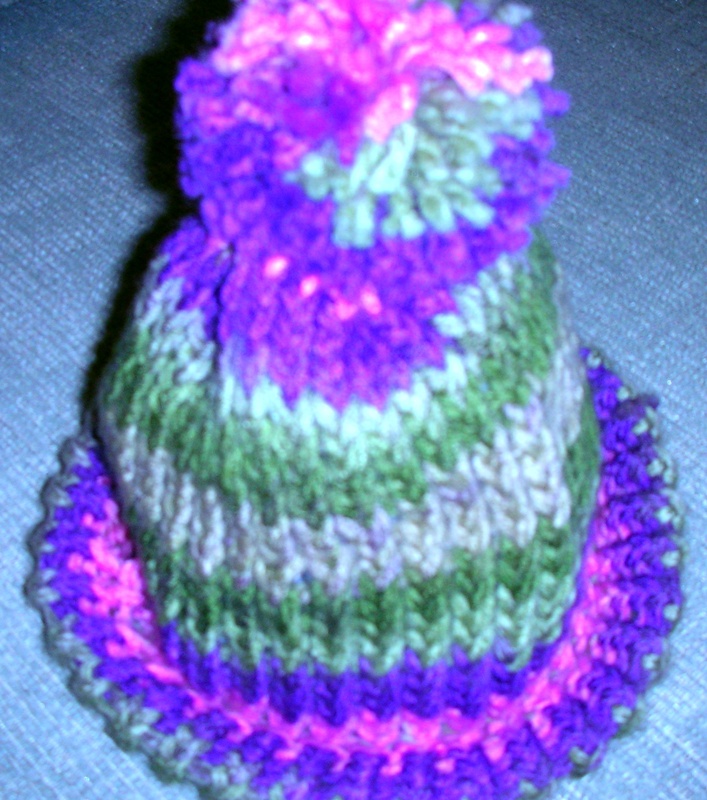 It’s time for another update on our project to knit or crochet winter hats for children at risk. Currently we have 35 hats in hand with many more underway. Even with warmer weather upon us, there are still several months to finally learn to knit or crochet or weave and do a little good in the world for a child. For more information please see earlier posts for Hats For A Purpose or contact me. Thanks to everyone who makes a difference.